A cpa file extension is related to the Prism, a program for astro imaging. A cpa file contains picture image. The cpa file extension is associated with the Prism, an astro imaging software for Microsoft Windows operating system. 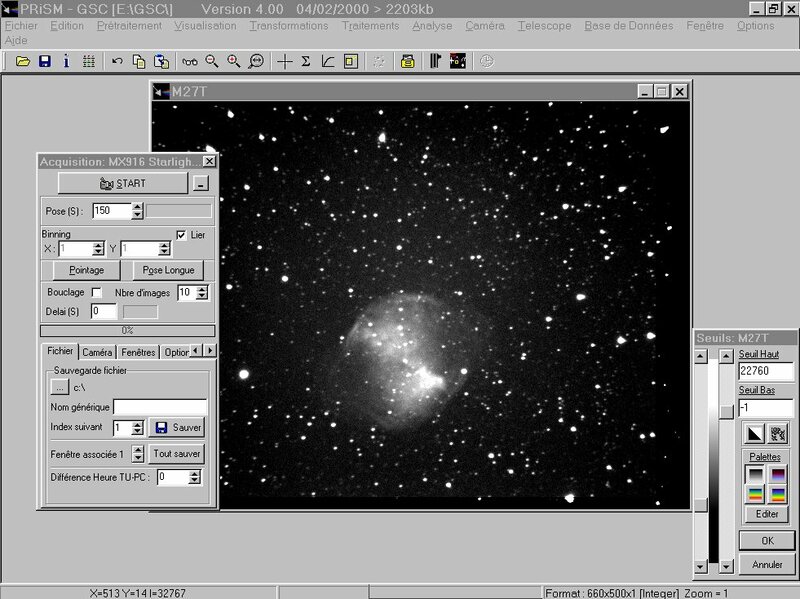 The cpa file stores astro picture image created with the Prism program. Prism is a comprehensive program, developed over 20 years, to control either a portable telescope or a fixed observatory. All of your equipment is controlled in native mode or through the popular ASCOM interface. Use Prism to open *.cpa files. Prism may be able to export *.cpa files to other formats. Programs supporting the exension cpa on the main platforms Windows, Mac, Linux or mobile. Click on the link to get more information about Prism for open cpa file action. Programs supporting the exension cpa on the main platforms Windows, Mac, Linux or mobile. Click on the link to get more information about Prism for edit cpa file action. Programs supporting the exension cpa on the main platforms Windows, Mac, Linux or mobile. Click on the link to get more information about Prism for create cpa file action.